The college admissions essay gives you the opportunity to share aspects about yourself not otherwise reflected through grades and test scores. Who are you? What are your values and dreams? Are you the type of person who will thrive in an academically and socially challenging environment as you transition into adulthood? 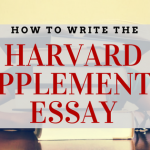 The Common App Essay is the perfect place to show admissions officers what you’re made of. To help you along, we’ve prepared a series of overviews to help you understand the various question prompts asked by the Common App. 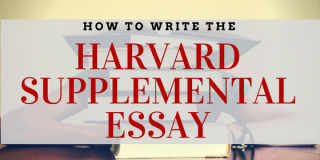 The following guide focuses on the Common App essay prompt #3! 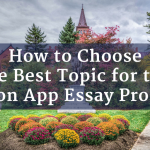 For additional resources regarding other Common App essay prompts and the college admissions process, generally, feel free to visit our Resources Page and our College Admissions Editing Page. Admissions officers want to hear about how a certain belief or idea prompted you to think critically and form your own opinion. Introduce a situation in which you doubted what you had always believed. Make sure to pick a topic you are passionate about and something for which you have vivid personal examples to share. After all, this essay is about your (and not someone else’s) experience.Topics can cover any aspect of your life, but be careful when addressing potentially offensive or emotionally charged content. You might discuss a moral rule you struggle with, prejudices, or even beliefs in a system that you discovered weren’t what you thought they were. 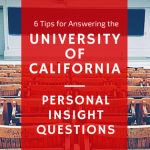 You could also explore your perspective on life and what it takes to navigate its waters.In your opening paragraph, you should introduce (1) the value or perspective you want to discuss and (2) the event that triggered your encounter with a conflicting belief (this may mean how you realized the limitations of your own values). You should then explain how your viewpoint was affected by the experience. Your opinion could have changed or been reaffirmed. Either way, explain why.Remember to focus on your personal journey and development as an individual. Show how you identify and address potential moral dilemmas. Based on your experience(s), do you operate well under pressure? Are you flexible enough to adapt to different situations. How well will you handle future moral dilemmas? Are you prepared for the college environment where you’d meet people from diverse backgrounds and perspectives? 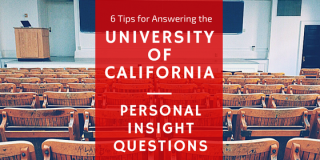 How do you intend to apply what you have learned to life in college and beyond? Show how your experience helped shape who you are and the personal goals you have set. Identify a couple of courses and extracurricular activities you’d tackle with your new outlook on life. Circle back to your opening paragraph scenario and remark on how you excited you are to embark on new adventures in college. Remember you’re telling YOUR story. Each word should focus on your critical thinking skills and judgment calls. Show adaptability and also fortitude to maintain core beliefs. Do you know who you really are? If so, prove it!